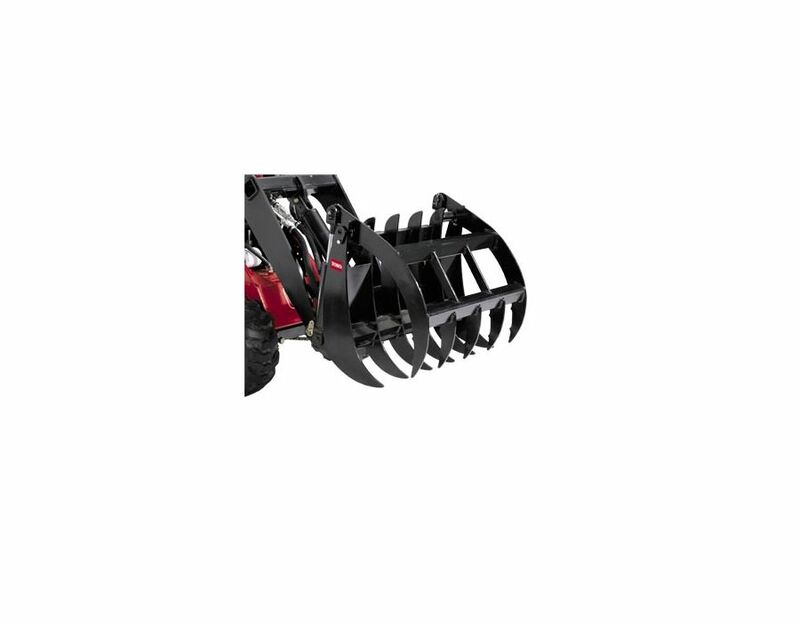 The Toro 22521 Grapple Rake has exceptional power for clamping and holding. Ideal for picking up and removing trees, bushes, roots, and rocks - as well as demolition and construction debris. Tines constructed of 3/8' AR400 steel. Overall width 34.5", weight 270lbs, clamping force of 3000lbs. 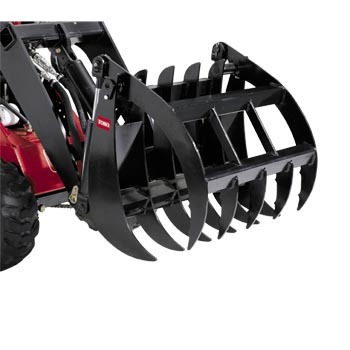 The Toro Grapple Rake 22521 is available at Kooy Brothers, located at 1919 Wilson Avenue, Toronto, Ontario.